Soul of a deceased man enters a tunnel of light. Painting by unknown artist (image source www.pinterest.com). The Ian Ramsey Centre for Science and Religion (IRC) conducts research into religious beliefs and theological concepts in relation to the sciences. Research into beliefs focuses on the application of scientific tools to religious phenomena, such as in the Cognitive Science of Religion (CSR). Research into theological concepts focuses principally on those metaphysical principles, such as persons, that are important to theology and are being seen from new perspectives by current developments in science. Members of the Centre also carry out extensive work on the history of science and religion, often challenging simplistic accounts of what has been a complex and varied interaction. Gregory Shushan Lecturer in the Study of Religions at University College Cork. 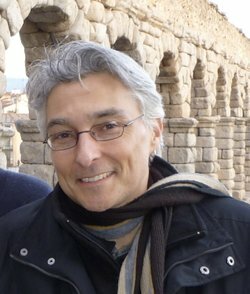 GREGORY SHUSHAN is author of the Grawemeyer Award-nominated Conceptions of the Afterlife in Early Civilizations: Universalism, Constructivism, and Near-Death Experience (Continuum Advances in Religious Studies, 2009). He has been Visiting Lecturer in Religious Studies at University of Wales Lampeter, Lecturer in the Study of Religions at University College Cork where he helped establish the first such department in the Republic of Ireland, guest lecturer in Anthropology of Religions at Swiss University, and Research Fellow at the Centro Incontri Umani (The Cross Cultural Centre) at Ascona, Switzerland. He has presented his research in seven different countries, and is the recipient of six academic awards, including the Gordon Childe Prize. He holds a Diploma in Eastern Mediterranean Archaeology from Birkbeck College (University of London), a BA in Egyptian Archaeology and an MA in Research Methods for the Humanities from University College London, and a PhD in Religious Studies from University of Wales Lampeter. He is currently a Research Fellow at the Ian Ramsey Centre for Science and Religion, University of Oxford, researching comparative afterlife beliefs in indigenous religions worldwide in the context of shamanic and near-death experiences. The project is supported by a grant from the Perrot-Warrick Fund, Trinity College, Cambridge.and near-death experiences. The project is supported by a grant from the Perrot-Warrick Fund, Trinity College, Cambridge. Reincarnation DOES exists, as perception on higher levels of human consciousness…..49 grades, according to Sufism Reoriented….on perception of bigger and bigger picture of Life around, with understanding of human spiritual progress, which is impossible through one life only. Hi Zbigniew, I also hold that reincarnation is real and has been validated scientifically by Prof. Ian Stevenson.